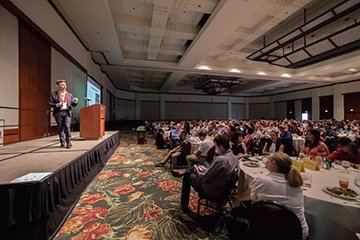 For the second year, SEL programming was a key focus of the 2016 Schools of the Future Conference. 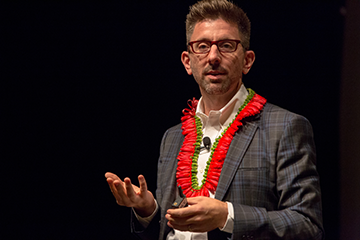 To a riveted audience of 1,500 teachers and administrators at the 2016 Schools of the Future conference in Honolulu, keynote speaker Dr. Marc Brackett reinforced a central premise: EMOTIONS MATTER. They drive learning, decision making, creativity, relationships, and health. As the director of the Yale Center for Emotional Intelligence, and a professor in the Child Study Center, Yale School of Medicine, Dr. Brackett illustrated how hard it is for students to learn and thrive if they don’t have the skills to handle their emotions or feel safe and supported enough to talk about them.